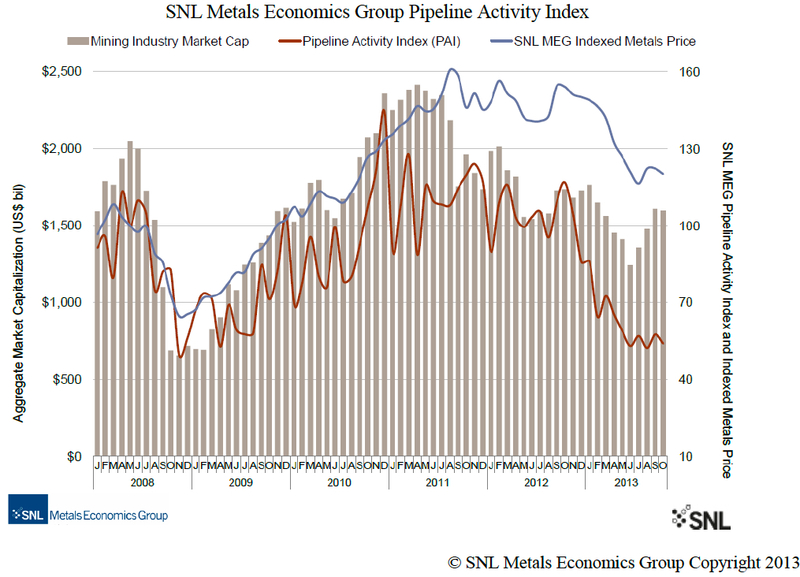 The closely watched SNL Metals Economics Group's Pipeline Activity Index (PAI) – one of the most trusted indicators of the global exploration sector’s overall health – has remained steady for the past six months, but still sits at a historical low. The good news, said the Halifax Nova Scotia-based research firm, is that there is sound evidence to assume the current below-the-average level likely means global drilling activities and resource announcements have hit rock bottom. The bad news, it added, is that it’s hard to predict whether it will rebound sometime next year. As the following charts show, aggregate market cap for the industry improved in September before retreating slightly in October, finishing the period just below $1.6 trillion. The constant progress since the June 2013 low, said the firm, seems to indicate that the ongoing spending cuts are helping to restore investor confidence. The number of significant drill results has remained flat for much of 2013, with a limited number of sufficiently capitalized junior companies continuing to advance their top projects. Companies typically pause over the holiday season, with this year’s break perhaps being extended longer than usual to conserve cash. 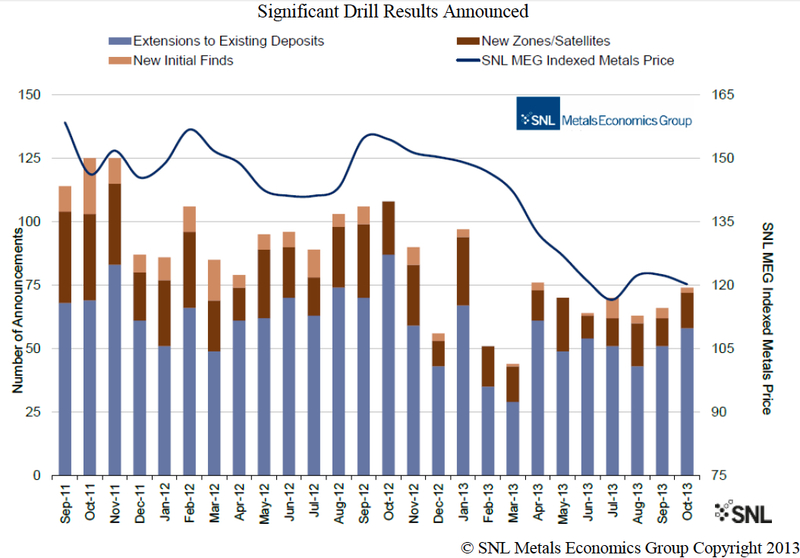 Based on the large numbers of juniors that will begin 2014 with no funding and the ongoing lack of available risk capital, SNL Metals Economics Group anticipates the level of drilling activity in 2014 could be the lowest in years.